Susan Marling travels to Concord in Massachusetts where the 200th birthday of Thoreau raises new questions about his legacy. Henry David Thoreau, whose 200th birthday is currently being celebrated, is one of America's most quoted writers. 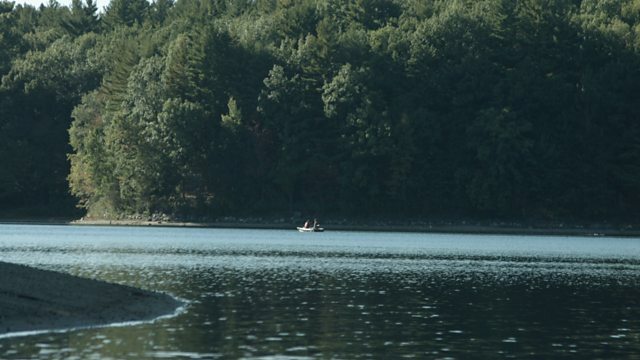 His famous self-sufficient 'exile' to the woods by Walden Pond in Massachusetts spawned the classic book 'Walden', which is taught in schools and read diligently by green-leaning people around the world. The received wisdom gives him credit as the founding father of the environmental movement in America. Thoreau is the 'voice of the American wilderness', the 'national conscience urging people to live in harmony with nature'. His appeal to the baby boomer generation who loved his nonconformity, his exhortation to 'simplify!, simplify!' and his thoughts on civil disobedience, was immense. We talk to Don Henley, guitarist of The Eagles who has been an important patron, saving Thoreau's landscape around Walden Woods. Marling attends the bicentennial events and talks to biographers and natural scientists, political thinkers and literary historians who all claim interest in Thoreau. On the other hand, libertarians, attracted to Thoreau's aphorism "That government is best, which governs least," take issue with the way current environmentalists seize on his work and reputation. And political activists believe his real legacy lies in his evocation of passive resistance in the influential essay Civil Disobedience. The battle for Thoreau's legacy extends to those who focus on his character, denigrating him as a hypocrite and a joyless prig, a moralist given to disdainfully finger wagging his countrymen. We weigh the arguments but also ask whether, even if the legitimacy of his legacy is in doubt, even if he was 'a jerk', the world needs Thoreau now ....more than ever..... in a new age of environmental hostility? Is the idea of him more important now than the reality?